These tools simplify dash modifications for BayStar and SeaStar upgrades. 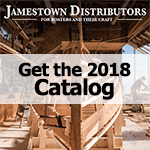 They are designed to help you install these helms into dashboards with mechanical steering cutouts, older (square flange) SeaStar helms and even dashes without pre-cut holes. The Power Purge and Power Purge, Jr. are the quickest ways to bleed a SeaStar or BayStar system and assure a rock-solid steering feel every time! Power Purge systems reduce installation and warranty costs while enhancing the quality of the boat for the end user. A typical manual fill and purge takes the average, experienced installer about 30 minutes per boat- by using Power Purge this can be reduced to 10 minutes or less. Power Purge and Power Purge, Jr. are available to any business at which SeaStar is installed by qualified marine hydraulic steering technicians. Increased quality of system purge for solid, responsive steering feel. Fast and efficient set-up; easy to operate. Utilizes 110 volt electrical hook-up. Extended portablility for use in the field- weighs only 12 pounds. Convenient electrical hook-up utilizing an available 12-volt boat battery.